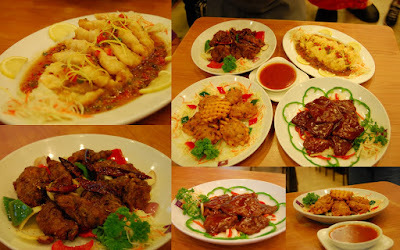 The authentic cuisine offering of Super Bowl of China has widened as four new dishes will be launched tomorrow, July 1, 2009. In cooperation with Yehey, the chinese restaurant's MOA branch held a blogger's event to give bloggers advanced tasting of the new delectable dishes which are: Golden Weave Cut US Frozen Potatoes with Minced Pork, Crispy Fish Fillet with Lemon and Plum Sauce, Hot and Spicy Chicken, and Beef Fillet Chinese Style. 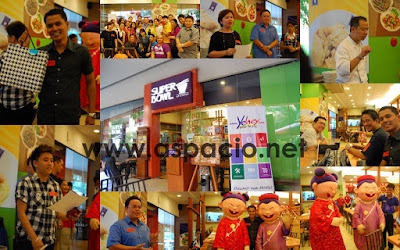 The four new dishes were prepared by Super Bowl of China's chef and was introduced together with their mascots Super Happi and Super Lucky. This promotion was also made possible by the restaurant's collaboration with the United States Potato Board (USPB) which also sent a representative to the launch.